Sentosa, an island of fun off the Southern part of Singapore, a destination for both locals and tourists alike. It’s not just the beaches and rides, that’s also the integrated Resort World Sentosa of theme park fun, eating and of course the casino. Getting to Sentosa, is easy, you can use the bus, Sentosa Express, self-drive, cable car and finally, you can walk across to Sentosa ! Remembering my days when I was able to walk over to Sentosa, with massive construction going on, walking over was not allowed for quite a few years. However, with the official opening of Sentosa Boardwalk, I am finally able to walk over again ! Back to the good old days ! 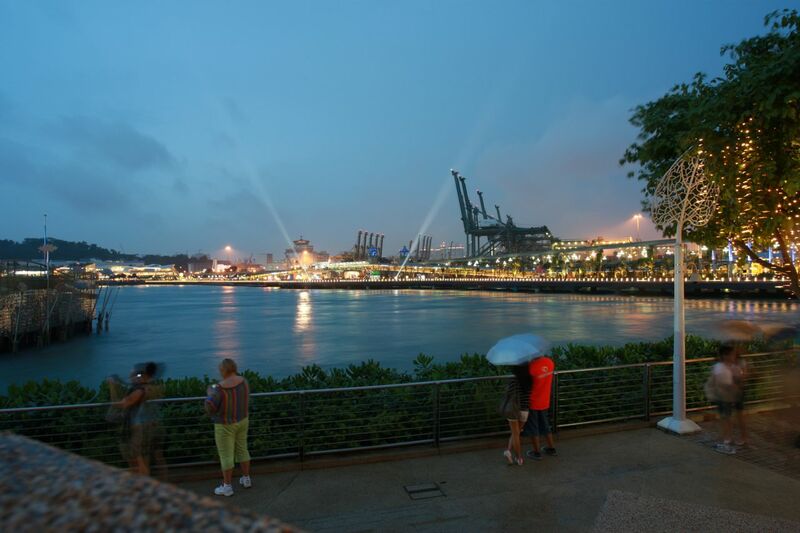 Sentosa Boardwalk was officially opened on the 29th January 2011, with big fanfare, events and activities. Although it was pouring, it didn’t dampen the festive spirit and festivities. 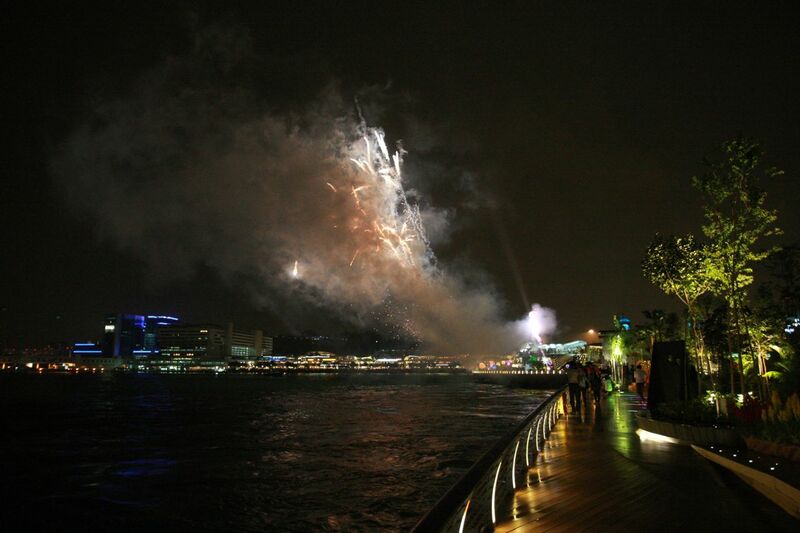 I was surprised to watch some low level fireworks to mark the Sentosa Boardwalk Official Opening too ! I feel this new icon, Sentosa Boardwalk, fits in nicely, great place to relax by the sea, travel to Sentosa. The weather has been quite wet recently, I will be looking forward when I return with good weather for some landscape sunset photography of Sentosa and Vivo City and night landscape sceneries as well. Oh yeah, looking forward to Sentosa Flowers from 3rd February to 13th February and walking over to Sentosa via the Boardwalk & adding more photographs to my Sentosa Boardwalk collection on Flickr ! 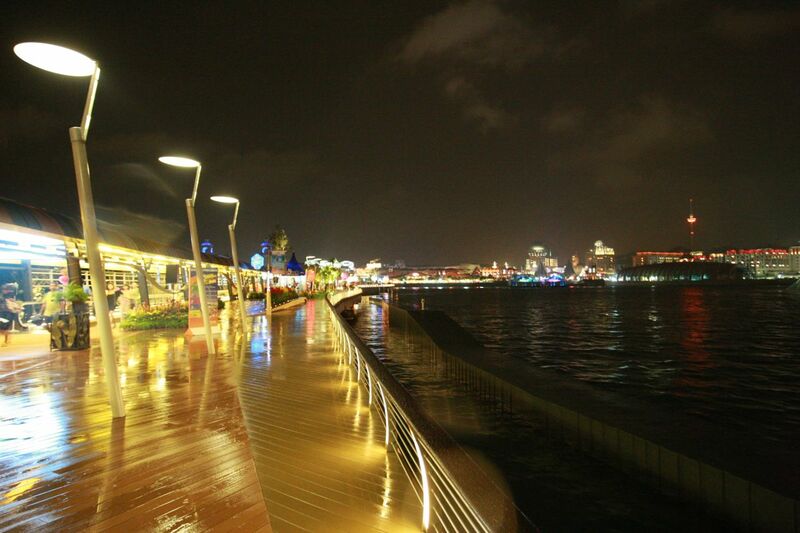 I must say, the broadwalk is a very nice addition to Sentosa. However, the traffic leading to Sentosa is very heavy. I was in a jam for close to 45 mins leading towards Vivocity. ..The newly refurbished Rasa Spa at the Shangri-La s Rasa Sentosa Resort provides a sanctuary of sheer indulgence. ..Amara Sanctuary Resort Sentosa is the perfect place to relax and unwind in a tranquil setting.